09:00 | Lima, Feb. 8. 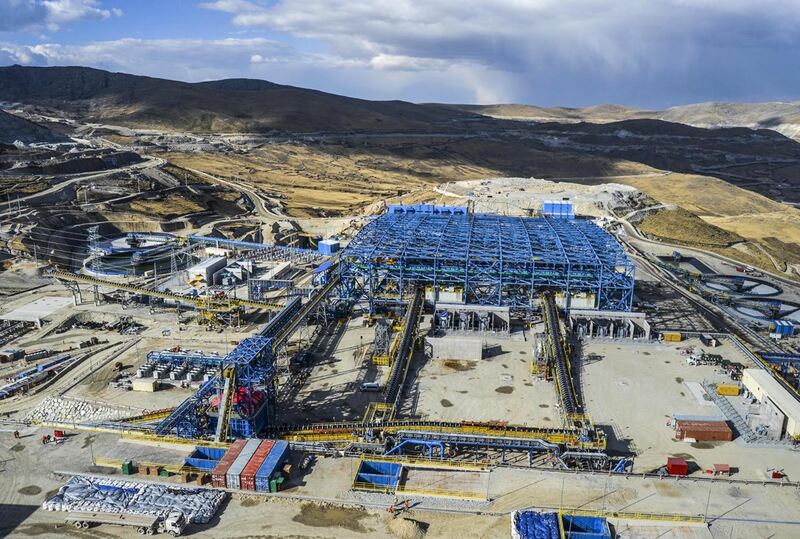 Peruvian production of copper, lead, iron, and tin showed an increase of 2.5%, 8.4%, 5.1%, and 29.9%, respectively, in December 2018, compared to the previous month, Energy and Mines Ministry (MEM) has informed. According to MEM's report, national copper production posted a 7.5% expansion in December from the previous month, and a 2.5% rise over the same month in 2017. It should be noted the negative results recorded in the previous months at Las Bambas mine resulted in a 0.4% slid at year-end 2018 compared to 2017. As for lead, the output experienced an 8.4% year-on-year growth thanks to increased production at El Brocal (96%) and Volcan (63.8%) mines. Likewise, iron production in December posted a 5.1% year-on-year rise and grew 57.4% compared to the previous month, underpinned by Shougang mine's excellent results. In addition, tin output rose 6.2% over the previous month, thus maintaining constant growth since October.